Fractured Atlas supports 3000 arts projects across the country each year. The organization, which provides fiscal sponsorship and support services to artists and organizations has more than 25,000 members and averages more than 500 new members each month. According to Senior Program Director of Fiscal Sponsorship, Dianne Debicella, “we get involved at all different stages. Some are brand new entities, and others are established organizations looking to raise money via donations. Overall, we’re the largest arts sponsorship organization in terms of the numbers of entities we serve, and we’re very proud of having served as a springboard for the arts for over 10 years. The organization receives more than one hundred applications a month. Prospects need to be artistic entities, whose work is not for commercial purposes – so, not-for-profits that can demonstrate that what they’re doing has a public benefit. Some are to benefit a small community and others for a broader purpose, including those looking to use art in the cause of social good. “Fiscally sponsored projects have to pursue their own funding,” says Debicella. “We don’t provide funds, rather we act as an intermediary so that they can qualify for 501c3 status without having to set up their own administration and incur the expense of administering a non-profit. This is important because, unless an organization has a sizable budget on the order of $500,000 or more, it can be prohibitive to become a 501c3 on their own both with cost and the administrative burden of forming a Board of Directors and structure to get underway”. Fractured Atlas’ goal is to provide organizations and individuals the opportunity to get a strong, viable start, and then the artists or organizations may stay long- or short-term, depending on their needs. This enables them to focus on their art and audience development while having access to information and guidance as well as insurance for areas including health care, workers’ compensation, production and event venues, and art damage or loss. Members also get access to Fractured Atlas’ Artfl.y software, which they can use to manage tickets, donations and contacts; Fractured U, which provides business education for artists; and services Spaces and Archipeligo which provide regional information on arts spaces, and data on arts organizations and arts resources that can provide artists and organizations with resources and support. Other Fractured Atlas services include arts consulting, arts advocacy on a local and national basis, and offering members special rates on arts-related goods and services. Announcements on the Fractured Atlas site include calls for entries looking for directors, choreographers, puppeteers, poets, and people to produce documentary work, all of which can be helpful to artists looking to broaden their scope and contacts. In all, it provides critical support to help launch and sustain new and exciting ventures throughout the arts world. 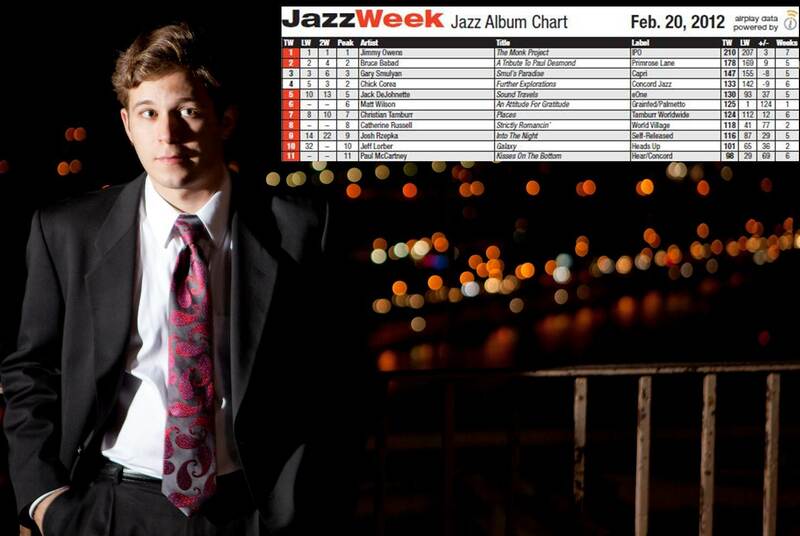 “We’re in a challenging period for the arts these days,” Debicella says. “There’s been a decline in foundation support over the past four to five years, so it’s become even more important to help artists get started and enable them to find the help they need. One of the things we do is to advise on how best t seek that”. Individuals and organizations interested in becoming part of Fractured Atlas should register at the website, www.fracturedatlas.org. Then you’ll become eligible to submit a fiscal sponsorship application to be considered by their Board, which meets once a month to review new applications. 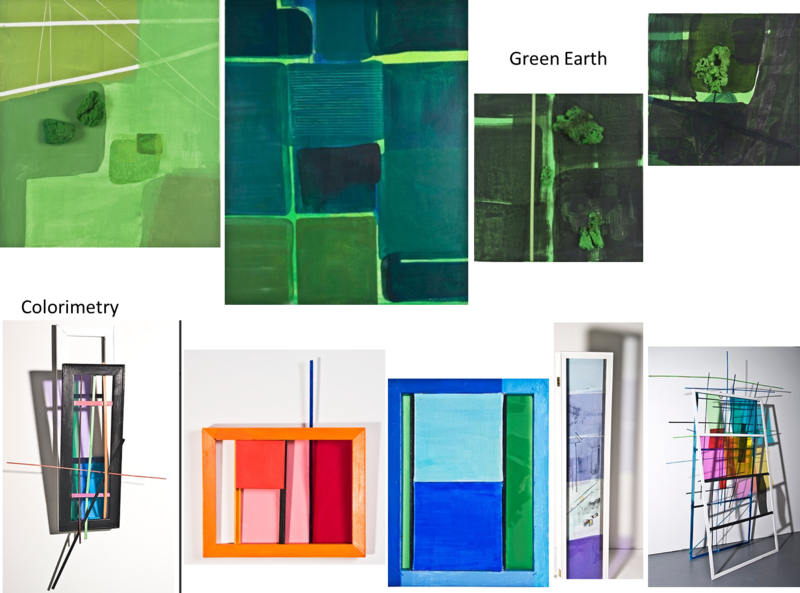 I draw, paint, and have been exhibiting my work since the ‘70s. 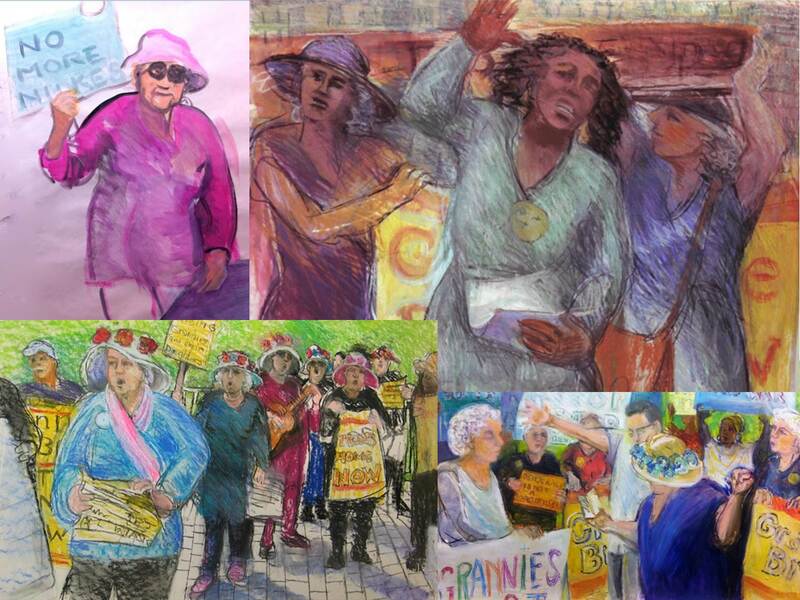 Right now I’m engrossed in the most exciting art project of my career: The Granny Peace Brigade series. In 2005 a friend of mine was arrested, along with a small group of older women– all members of various Peace groups like Code Pink and the Gray Panthers— for demonstrating at the Army Recruitment station in Times Square. They were cuffed, jailed, and eventually tried and acquitted. Out of this experience they formed The Granny Peace Brigade. I’ve been a supporter and ardent admirer since then. I drew them during their trial and later began to photograph them while I marched and demonstrated with them. After a while, I began using these photos as source material for new work. Much of my previous work of the past 20-odd years had focused on nature-based motifs. Working from sketches made while hiking upstate NY, I created large close-ups of the rocks, weeds, waterfalls, and woodlands, drawing attention to their “ordinary” beauty and vitality. At the same time – initially because I am devoted to drawing the figure – I created the ”Placard” series: paintings and drawings derived from images of protesters I found in newspapers. This however was a different matter. As an older woman, and an activist since the days I marched with the Women Strike for Peace against the Vietnam War, this project is more personal and vital. It gives me an opportunity to merge my aesthetic, political and social concerns, through personally meaningful, timely, subject matter. It’s been challenging and exhilarating. It’s been said that “…the eye witnesses, the hand records.” As an artist I am following a long roster of artists who “bear witness” (think Goya, Kathe Kollwitz, Picasso, Ben Shahn, Leon Golub). While I’m not intent on painting a political polemic, I do want to pay homage to these feisty peace activists, and transmit their message that “Democracy is not a Spectator Sport”. As I participate in documenting this piece of our history, I show, close-up, what it’s like to be in the midst of the energetic Grannies, visually expressing the view that older women are concerned, and can have an active voice in our society. To make a piece of art that conveys the energy, immediacy, and spirit of the narrative, I work quickly, making many large pieces for each motif, varying the composition, the approach, and the materials. The works range from 20 x 30” to 36 x 72”, in pastel, charcoal, acrylic, and/or oil paint. Some become finished “products”, others remain studies. I feel privileged to be able to hone my approach to making art while visually expressing something of such importance to me, and hopefully supporting the efforts of these heroic women. I will be exhibiting this work in a one-person exhibition at Saint Peter’s Church (Citicorp) NYC in May, 2013. Regina Silvers has been involved with fine art for her whole adult life- as a visual artist and an art organizer. Originally trained as a NYC art teacher, her varied career includes jewelry designer, gallery director, curator, art consultant, museum publicity/advertising manager, and always, practicing artist. She was a founder and President of TOAST, the TriBeCa Open Artist Studio Tour (2000 to 2010), and co-founder and Director of the Gallery at Hastings on Hudson (1976-84). Silvers has maintained a studio in TriBeCa for more than 20 years and, until recently, a studio in Woodstock, NY. Her work appears in corporate and private collections throughout the United States, and she has participated in more than 40 exhibitions nationally. 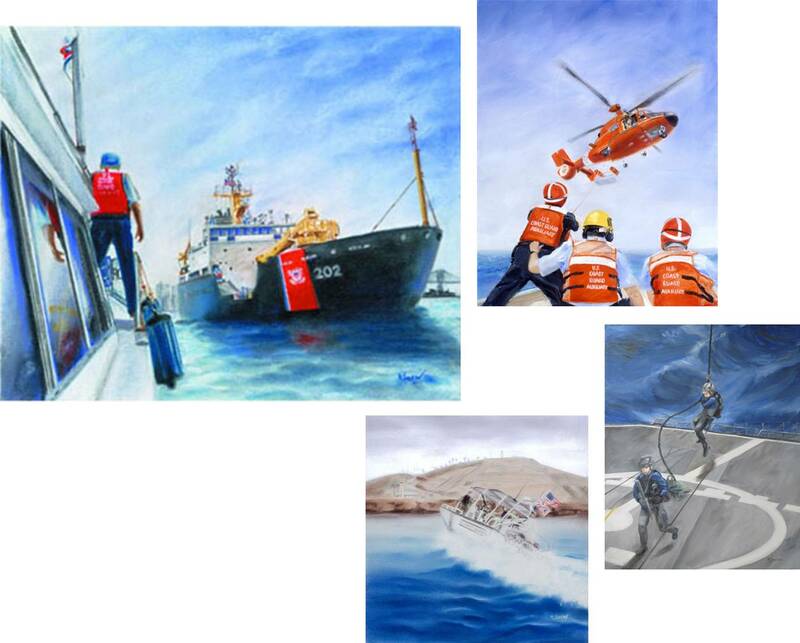 Karen Loew and the artists who participate in the Coast Guard Art Program (COGAP) and the art programs of other branches of the country’s armed forces immortalize in paintings the bravery of men and women serving in the U.S. military. The artists are, according to Loew, “visual historians, morale boosters and fan club”. Artists work as volunteers, and they donate time and talent to create works of art depicting the varied missions of the military. “The paintings depict experiences of danger, the suspense of the unknown, the anxious moments of search and rescue, the relief of a successful mission, and the emotions of a return home,” says Loew. Each work of art is a gift from the artist to the Collection. “Emails I have received thank us for capturing their memories and experiences, and for portraying the Coast Guard in a very positive and remarkable way. I chair the COGAP Committee at the Salmagundi Club, which is an artistic and cultural center that’s been here for over 140 years and is also the proud sponsor of COGAP. When I joined COGAP in 1999, I did not have expectations of what would become of the art I would donate to the Collection. Rather, I was just thrilled to be accepted and have my art included. Since then, I have observed that the art of the Collection does have an amazing public life, educating the public about the missions and history of our Coast Guard through displays at museums, libraries and patriotic events. Art is also displayed in government offices and at Coast Guard locations around the country. The United States Coast Guard Art Program was co-founded in 1981 by combat artist George Gray and John Ward of Coast Guard Community Relations. COGAP welcomes requests for public displays of artwork and inquiries from artists to join the program. Management of the United States Air Force Art Program and Collection is the responsibility of the Secretary of the Air Force, Office of the Administrative Assistant. The Air Force Art Program Office handles day-to-day administration of the program. The office is charged with responsibility for the Art Program. The United States Marine Corps Art Collection, held in trust at the National Museum of the Marine Corps, document over 230 years of Marine Corps history. The mission of the Museum is to collect and preserve in perpetuity, artifacts that reflect and chronicle the history of the Corps. The more than 60,000 uniforms, weapons, vehicles, medals, flags, aircraft, works of art and other artifacts in the Museum’s collections trace the history of the Marine Corps from 1775 to the present. The United States Navy Art Collection has over 15,000 paintings, prints, drawings, and sculpture. It contains depictions of naval ships, personnel, and action from all eras of U.S. naval history, but due to the operation of the Combat Art Program, the eras of World War II, the Korean War, the Vietnam War, and Desert Shield/Storm are particularly well represented. The Branch manages the art collection, produces exhibits, loans artwork to museums and institutions, and provides research assistance on the art collection. The United States Army Art Program or United States Army Combat Art Program is a program created by the United States Army to create artwork for museums and other programs sponsored by the US Army. The collection associated with the program is held by the United States Army Center of Military History, as part of their Museums collection. Karen Loew is Chair of the Coast Guard Art Program Committee of New York’s Salmagundi Club, and she serves on the club’s board of directors. In 2002, the Coast Guard sent her to Guantanamo Bay, Cuba (GTMO) to document activities of Coast Guard Port Security Unit 305. She is frequently a speaker at COGAP events, most notably for the opening reception of the COGAP exhibition in Vlissingen, Holland in 2009. In 2011, she was given the Coast Guard Distinguished Public Service Award, the highest recognition given to those who have made outstanding contributions in advancing the Coast Guard’s missions. Loew’s art has been featured in the book American Women Artists in Wartime, 1776 – 2010 as well as The New York Times, and Professional Artist. Her paintings are held in private and public collections. How did you get involved with Chinese Shadow Puppetry? Chinese shadow puppetry is the sum of all my independent interests and, of course, so much more. As a part-Asian puppet lover with a penchant for the historical, Chinese shadow puppetry has sustained my interest in all of those things and continues to inform my personal and professional life. How does shadow puppetry differ from other performance arts in its approach? It is similar to other folk art performance forms in that its main purpose is to transmit oral history to a largely illiterate class and to educate and community build through entertainment and a collective experience. It differs from other traditions insofar as its incredible artistry has really pushed boundaries both with the figures themselves and performance techniques. What about this art form is important to the heritage of China and to yourself? Chinese shadow puppetry is an amalgamation of Chinese culture in both content and aesthetics as seen from the masses. While most elite and upper class art forms are well documented and preserved, Chinese shadow puppetry is lesser known and understood but more informative as to the majority’s ideology and beliefs at any given time. In a broader context, this is Chinese shadow puppetry’s most important heritage. I consider it a high art form in its own right, with regional differences in nearly every province that reflect a rich inheritance of idiosyncratic tradition and craft. My particular focus is practice-led research in traditional shadow puppet making methods in the three main regional styles and that has remained largely uncovered in research both in China and internationally. Because the methods and aesthetic significance was largely overlooked until recently, many of the remaining masters have passed already with no apprentices in place and many others threaten the same scenario. How does this influence your artwork? My research and creative work have a symbiotic relationship – both inform the other and not necessarily in any particular order. Through research I find questions that can only be explored through creation and vice versa. Currently, my work is almost wholly focused on both Chinese shadow puppetry and how that learning is processed through me as an artist with a very different background than the traditional learner. With permission from my masters, I’m creating my own pathway to modernizing the form that fits within my understanding of how best to honor the tradition. How is shadow puppetry being preserved in China? Other than commercial endeavors, little has been done to preserve the form in China. With the official induction into UNESCO’s Intangible Cultural Heritage project in 2011, there is much more attention and support currently being focused on traditional Chinese shadow puppetry, but the long-term results remain to be seen. Little, if any, funding is being given to two designated members of a nominated troupe (equal to a peasants’ monthly wages) and no funding or support for students or apprentices. And, while this greatly eases the stress for shadow puppet artists in the aging stages of their lives, it does little to answer the more imperative questions about lack of students to carry the tradition through to the next generation. Some people have criticized China for their lack of effort to preserve this and many other dying traditions as their country races towards a progressive modern future, but I find that they are doing what all countries have done at one point or another – prioritizing. Folk art forms are in this position worldwide. Are there any schools or programs that specialize in Chinese Shadow Puppetry? Sadly, there are no formal institutions that teach Chinese shadow puppetry, save a workshop here or there. The masters who are still working are very open to students – even foreign ones – who show an interest. Because it is a folk art form it is unlikely that Chinese shadow play education would become formalized anytime soon.The hope is that the form will garner more support to continue teaching as they always have – through hands and hearts. If anyone has interest and will be traveling to China shortly, feel free to contact me for connections. Additional puppetry information is at: http://annierollins.wordpress.com/links. Annie Rollins is a puppeteer and recent Fulbright Fellow in Chinese Shadow Puppetry. She has a MFA in theater design from the University of Minnesota and has been studying traditional Chinese Shadow Puppetry in different regions of China for the past year. Annie considers herself an artist first, creating experimental puppet shows, design and teaching workshops when she isn’t studying puppetry in China. Recently, she was invited to speak at the Chinese Shadow Puppetry Symposium at the Ballard Institute & Museum of Puppetry at the University of Connecticut. 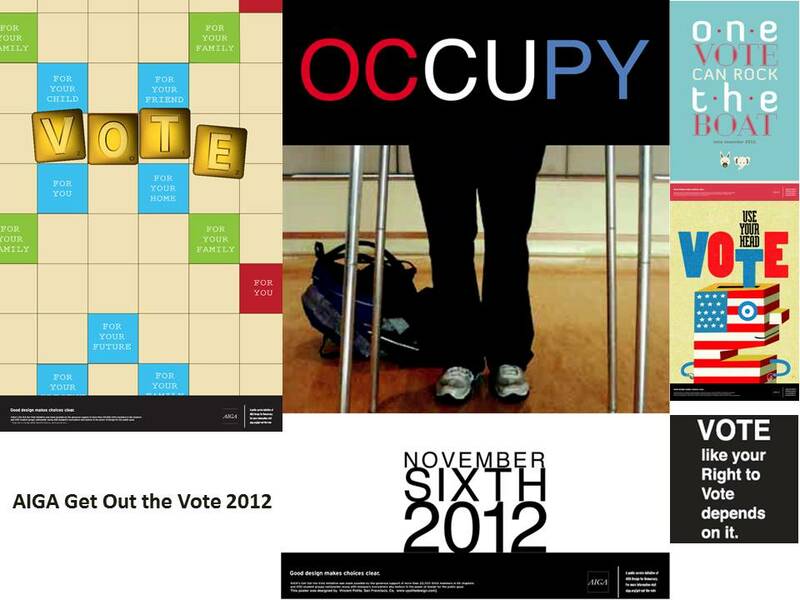 AIGA, the largest professional association for design, reminds everyone to vote via their Get Out the Vote campaign, in which AIGA members designed posters and videos to inspire Americans to participate in the electoral process. Make sure your voice is heard. Vote Today in the general election!